You might have seen birch water touted as a superfood before, and as the natural successor to coconut water. Did you know that it isn’t strictly speaking water? It’s actually sap from the birch tree. I’ve never seen it in skincare before, until now. 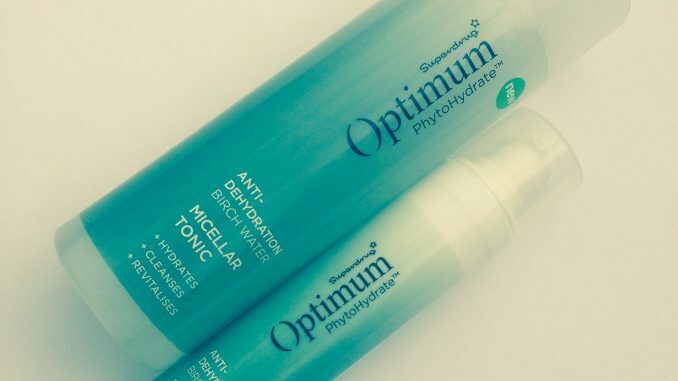 Birch water is the star ingredient in the new Optimum PhytoHydrate range from Superdrug. This is a follow up to its popular Optimum Phytodeluxe range. As yet there are only two products in the birch water range, so perhaps they’re testing the market to see what we make of it. The products, which are made in Switzerland, contain pure raw sap from birch sapwood, a super-hydrating type of water sustainably harvested from silver birch tree trunks. This range is specially forumlated for dehydrated skin. That’s skin that lacks water, as opposed to dry skin which lacks oil. So it’s all about plumping up the skin with added moisture, which I think most people need at this time of year. There’s a faint scent from both products which to me smells something like a mix between the forest and the sea, via the laboratory. It smells quite clean and fresh and not at all floral. This is an interesting product in that it’s more akin to a hydrating Korean toner than a cleansing Western toner. If you like using micellar water then it’s very similar to that, with a little added moisturing and skin nourishment. I don’t think it’s enough as a cleanser or moisturiser by itself, but it will fit in well with a skincare routine. It’s alcohol-free, so that helps to stop the skin getting dried out. I really like that this cream has SPF15. I wish sun protection was standard in all facial skincare. It has a very silky and lightweight texture which melts straight into the skin and feels very moisturising. As well as the birch water it contains Vitamin E, Pro-Vitamin B5 and Shea Butter. Whilst I like the texture of this day cream a lot, I wouldn’t use it long term because of the inclusion of shea butter. Shea butter tends to clog my pores. I like it in hand cream but not on my face. I think these are very interesting products, and I trust Superdrug own brand for decent quality at a fair price. However, I would like to see a little more robust research attached to these. The benefits listed on the packs are from self-assessment user trials. Admittedly they are a decent size of trial of 50+ people but it still seems a bit woolly. I would like to know much more about how come birch water is so good for the skin, and why its benefits can be gained by applying rather than drinking it. But then I am a skincare geek who can’t get enough of the science stuff. If you’re not so bothered about that then I think you can trust this range to treat your dehydrated skin. Think of it as tree hugging for your face. 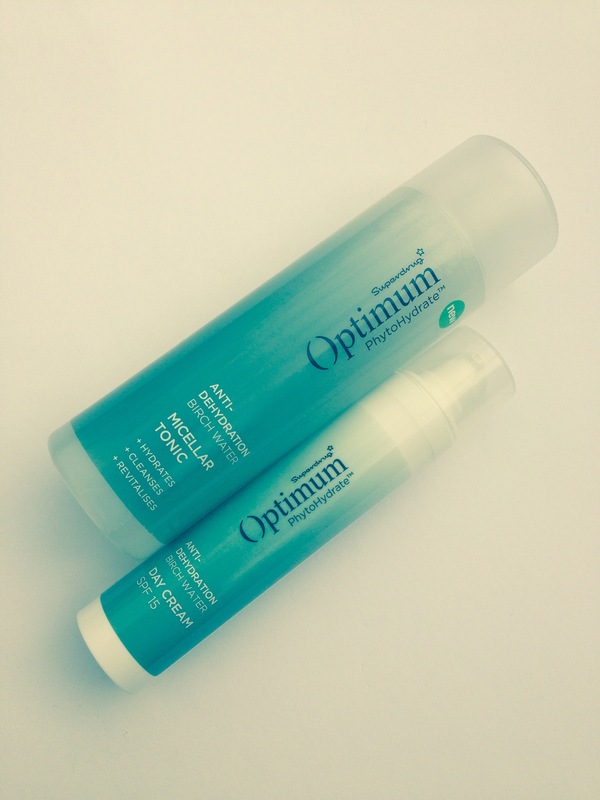 The Optimum Phytohydrate range is exclusive to Superdrug. It’s currently available in stores and online here. Optimum Birch Water Micellar Tonic is £4.99 for 200ml. Optimum Birch Water Day Cream is £14.99 for 50ml. Watch out for offers – the range is currently on buy one, get one free and before that it was on 50% off.